Continuing where we left off with our Knot of the Week series last week, today we’ll finish what we started with the Frost Knot and complete the Etrier. In climbing, an Etrier (French for stirrup) is also referred to as an aider, or a climbing ladder that’s commercially available. 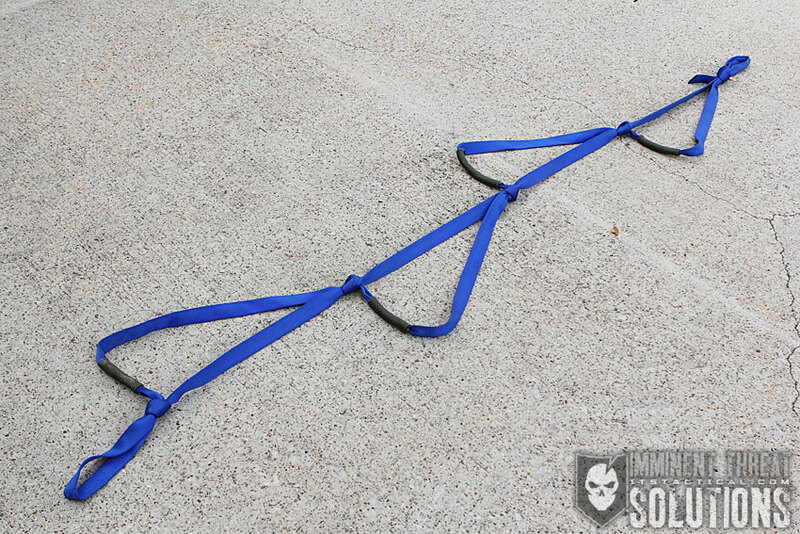 Hopefully after you watch today’s KOTW video, you’ll start to rely on your skills to create a ladder, instead of having to carry around a purchased one when climbing. While hard to pronounce, the Etrier is easy to tie and a very effective way to create a field expedient ladder with nothing more than a 20 ft. section of tubular webbing. (Strength: 5/Security: 5/Stability: 5/Difficulty: 1) See below for what these ratings mean. What you’ll need to tie you own Etrier is simply a 20 ft. length of 1″ tubular webbing, which you can get from most outdoor shops like REI or online from Amazon. Go with a name brand like Bluewater Ropes if you’re buying this online. Just like with paracord, there’s well made and there’s junk; caveat emptor. You’ll actually need paracord as well for whipping each rung of your Etrier for added support. 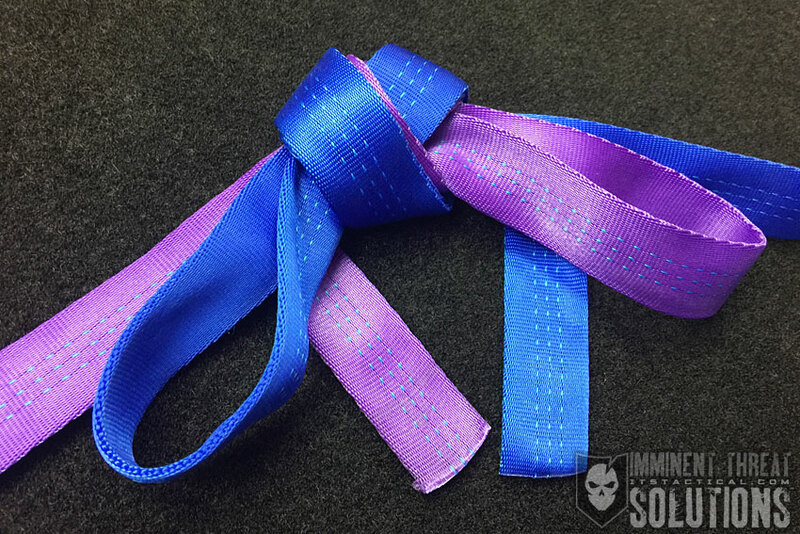 It’s mentioned in the video above, but you’ll want your “steps” to be about 12″ in height when tied and about 8″ in width. Be careful when whipping the steps with paracord, as it has a tendency to twist the step during the wrapping. The purpose of this KOTW isn’t to replace a commercial Etrier for climbing, but to show the utility and ease of creating a ladder out of seemingly nothing. While the original intent of an Etrier is to assist in big wall climbing, it really doesn’t have to be used for rock climbing at all, hence the reason I’m referring to it as field expedient ladder. In rock climbing you wouldn’t want a long ladder, but in an emergency situation you might. It’s actually easy to join two Etriers together if you need more height as well. 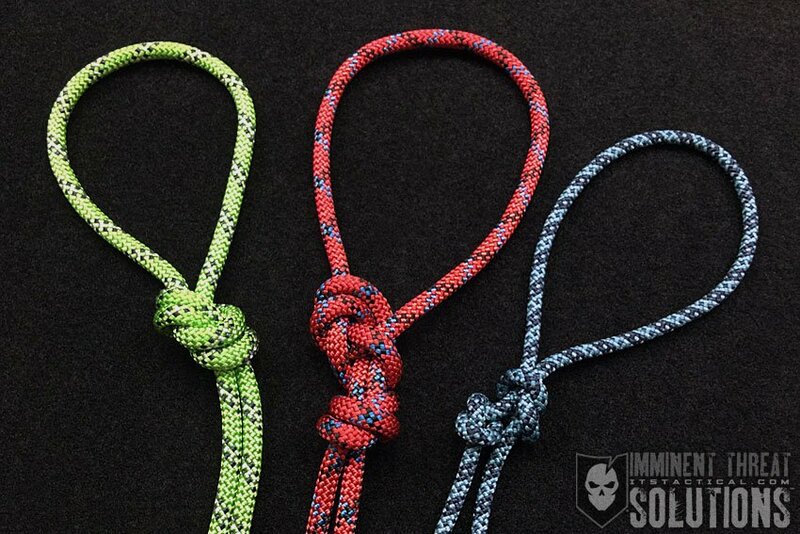 Just simply use the other variation of the Frost Knot on the looped end you’re left with after tying it. It’s also described in the video above, just in case you didn’t remember from last week’s knot.